Twin Black Diamond Men's Silver Ring : LOVE2HAVE in the UK! 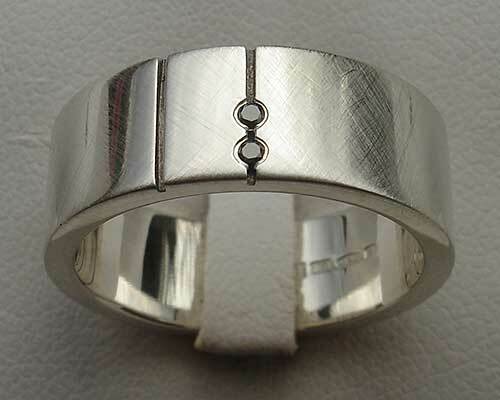 An 8mm width twin black diamond men's silver ring that comes pictured here in a satin matt finish. Across the top side sit two quite deeply cut parallel black etched grooves. Two shiny black diamonds are set next to one another into one of the grooves and sit towards one edge of the rings side. For this reason, it is because it features two black diamonds rather than just the one, the design lends itself very well to wider rings for men. 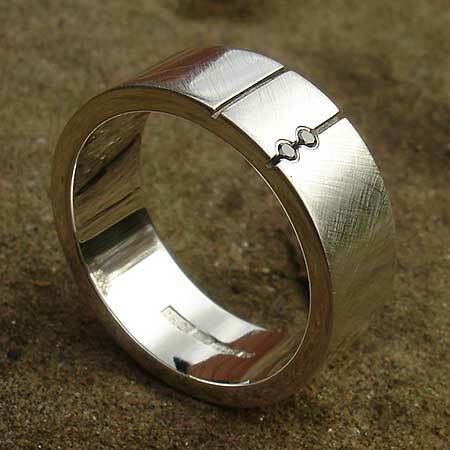 It is the combination of all this styling that has made this ring such a popular choice. A polished finish is also available too. Precious stone(s) Available: 2 x 1mm round black diamonds.